Before each spring and winter concert, the executive committee organizes a day-long workshop for the choir with a well-known guest conductor to polish and refine the concert repertoire. It is an opportunity for an intensive look at the music through the vantage point of the guest conductor. Workshops are always a wonderful morning and afternoon spent together, learning as a group, sharing coffee and lunch, and enjoying singing in a different venue. Mark Sirett is a returning guest conductor to the Monday Morning Singers, having led a workshop in November, 2016. Mark Sirett is choral conductor and composer, and the Director of Cantabile Choirs of Kingston. Kelly Galbraith is the Founder and Director of the women's choir, Cantores Celestes, in Toronto, and has conducted Kim André Arnesen’s Magnificat with her choir. 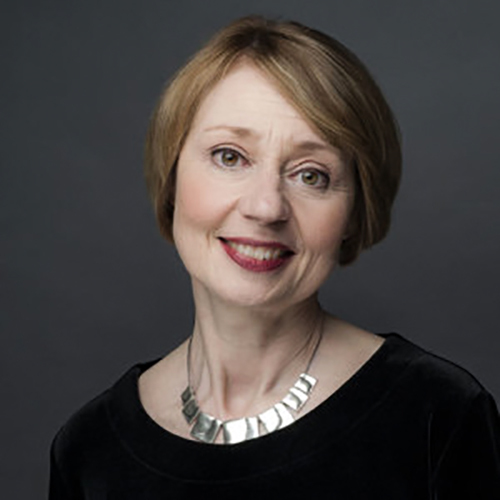 Hilary Apfelstatd is a recently retired Professor of Choral Studies at the University of Toronto and former Director of the Exultate Chamber Singers, Toronto. Elaine Choi is the Director of Music at Timothy Eaton Memorial Church, Toronto, and president of Choirs Ontario. Lori-Anne Dolloff is a composer and a Professor of Choral Studies at the University of Toronto. Stephanie Martin is a composer, conductor, choir director, and Professor of Music at York University. Mark Vuorinen is Artistic Director of both the Grand Philharmonic Choir and Elora Festival and Singers, and Assistant Professor of Music at Conrad Grebel University College, University of Waterloo.